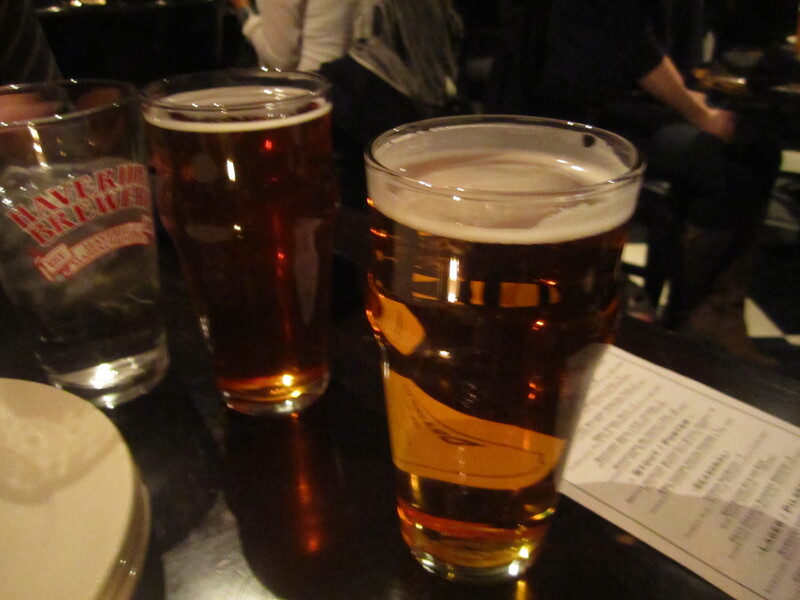 Stoddard’s Fine Food and Ale is a speakeasy which serves pub fare and is located at Temple Place (the Newbury Street in the 1800’s). I have heard through the grapevine it’s a great after work place in Downtown Crossing and has great craft beer and beer on tap selection. 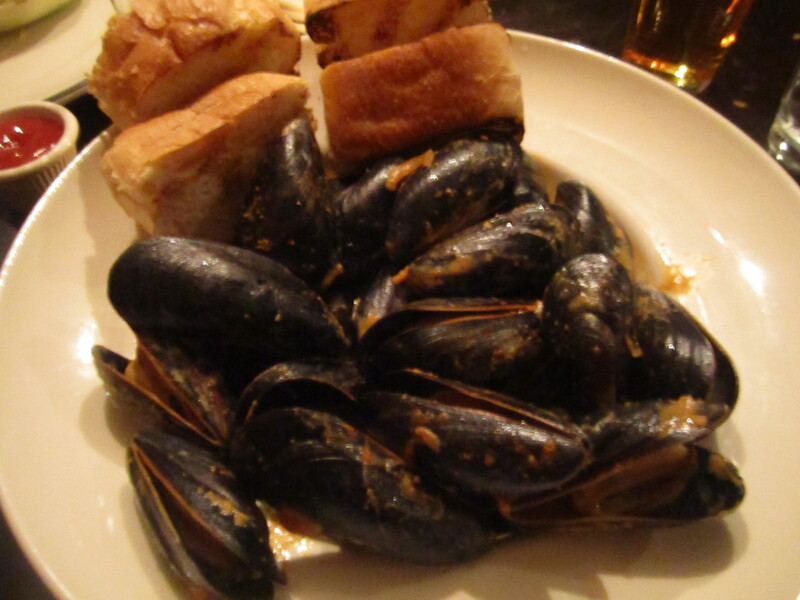 My friend mentioned about Stoddard’s when we were dining at Rafiki Bistro and instructed I try their mussels. 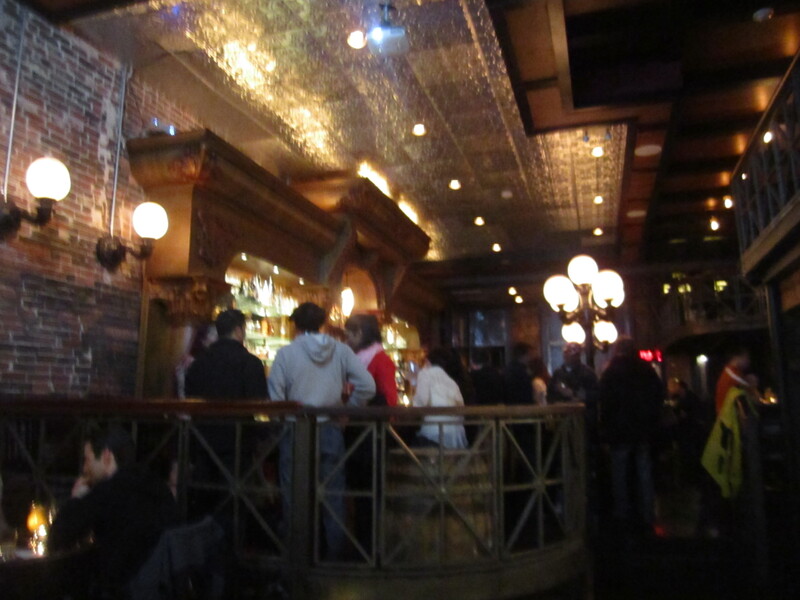 The bar area is spacious, has outdoor street lighting and a cozy atmosphere. The tin lined ceiling was quite intricate and I found it interesting that Stoddard’s used to sell fine cutlery and was a retail operation selling and assortment of items from sewing machines to bait. The front dining area features vintage undergarments and corsets once sold at Stoddard’s. We enjoyed some Rapscallion Honey and other uniquely named beers. Indeed, Stoddard’s has a vast selection of beers. I am a huge fan of fondues, especially beer based fondues (love Cleary’s). 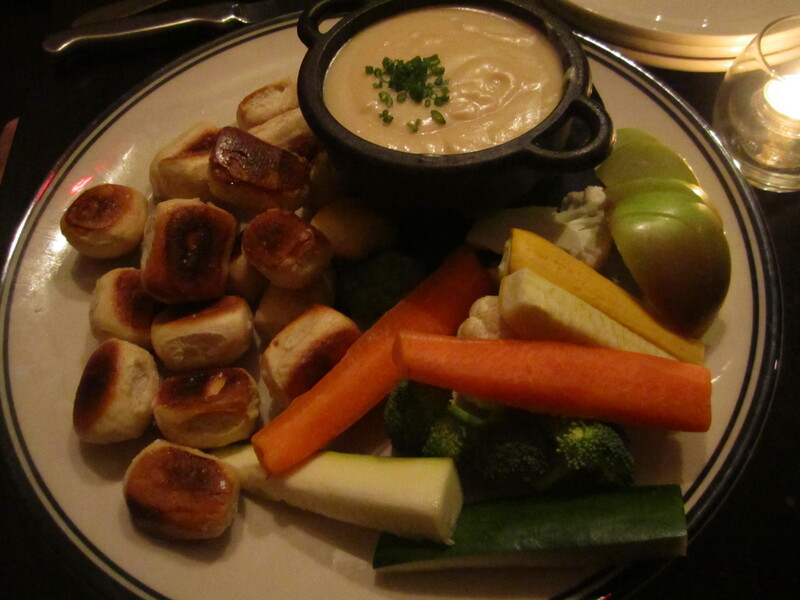 Stoddard’s Aged Gouda and Cask Ale Fondue made with local cask-conditioned ale was served with house made pretzels & crudité ($10). The fondue was perfect with the soft and chewy pretzels, as well with the apple, however with the zucchini and broccoli, the flavor of the fondue was too hoppy and distinctly bitter. 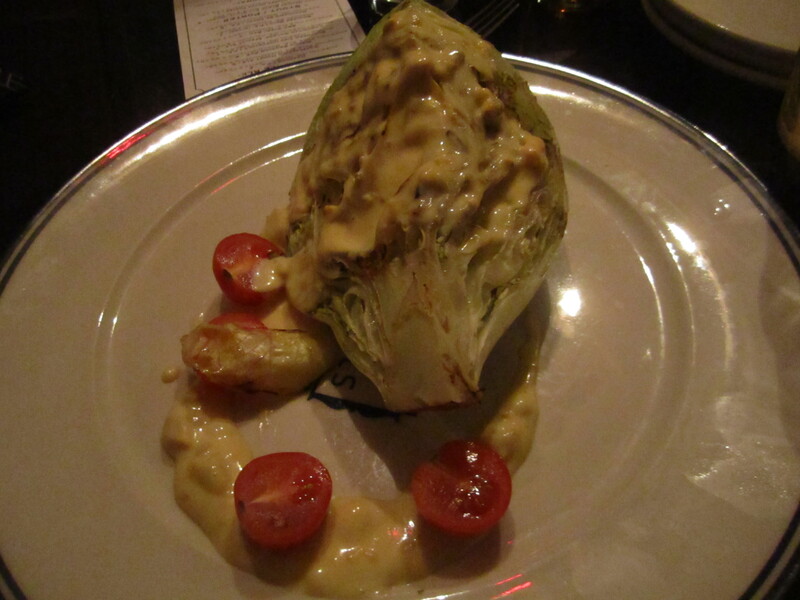 The Iceberg wedge was lightly grilled and slathered with bleu cheese and roasted sweet tomatoes ($8). The salad was nothing spectacular, but my friend thought it was good. The P.E.I. mussels were amazing. The light and creamy curry sauce was nicely spiced and really enhanced the ocean flavor of the fresh mussels. I would definitely order these again and was glad my friend suggested them to me, especially paired with the house made french fries. The bread should have been a nicely toasted and buttered crostini versus the soft bread, which seemed like an after thought versus contributing ingredient. The thick slices of bread lacked texture and flavor which made me want to set them aside. 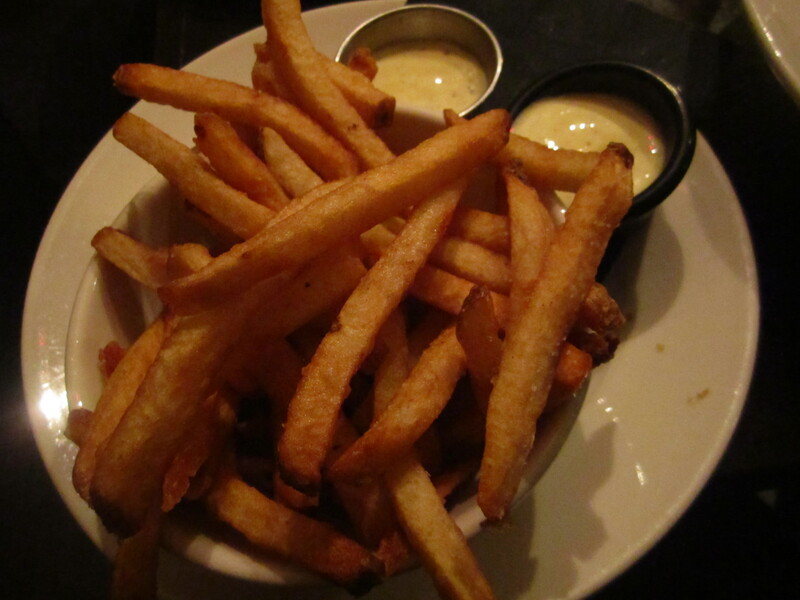 The house cut fries with aioli ($6) were nicely crisp on the exterior, tender on the interior and seasoned well. We definitely finished these off and even ate the little potato bits. 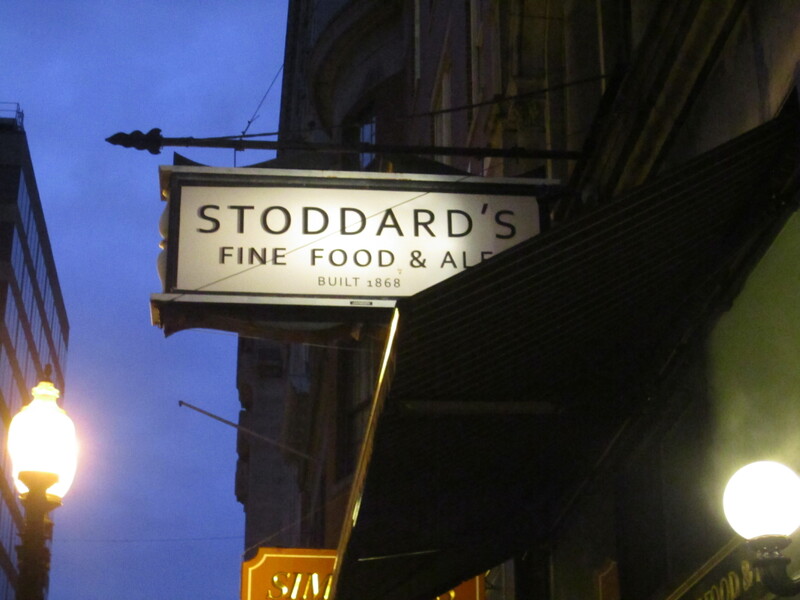 We would definitely return to Stoddard’s and try the burger, steak frites and lobster hush puppies. 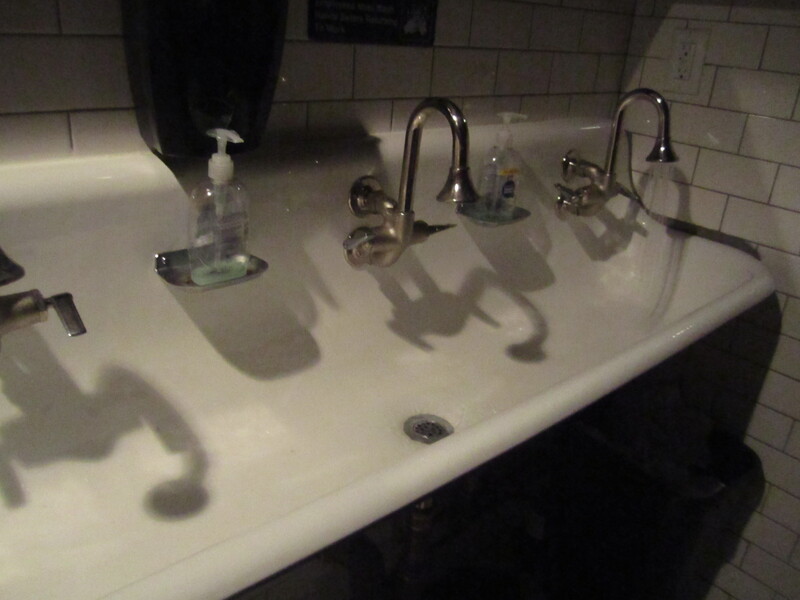 The tub style sink was fun to use and a unique design touch. Stoddards sounds like a fun place to take friends who are visiting and want to see Boston.